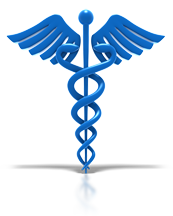 Phil Kneifl has more than 26 years of medical sales experience in Hospitals, Homecare Companies, and Physician offices. Medical Sales from 1989 to Present. Mr. Kneifl represented Respironics and HP Medical (Philips Respironics) for the first 15 years covering the Midwest States of Nebraska, Iowa, and South Dakota. Before that Mr. kneifl started in Orthopedic Sales working with ACL’s, Total Knees and Back Implants. Over the years Mr. Kneifl has sold products and services in every department of the hospital. Also during the same time frame selling products and services into DME’s Homecare companies.